AdvisorStream is thrilled to exhibit and speak at the SEI SAC 2018 National Conference in National Harbor, MD taking place on May 6th. Top advisors gather from across multiple broker dealers, IRAs and firms to learn about the newest technology service developments and updates. AdvisorStream’s CEO Kevin Mulhern, head of Product Development Karim Rashwan and head of Customer Success Georgia Karakatsanis will speak the Latest Trends in Investor Digital Marketing. New Publishers Added. Our List Is Growing! AdvisorStream is committed to providing our clients with the best credible content on the market. We are pleased to announce we have added Fortune, Insuranceopedia and Money Magazine to our list of world renowned publishing partners. AdvisorStream attended yet another fantastic T3 Conference in Ft. Lauderdale, FL from February 6-9, 2018. Head of Enterprise Sales, Bryan Muir networked with hundreds of decision markers at some of Americas top firms. Bryan brought back valuable insights to our product team, learning even more from advisors, compliance officers and marketing directions to further improve our service. Our best year yet, in every way; it just keeps getting better. We couldn’t have asked for more. 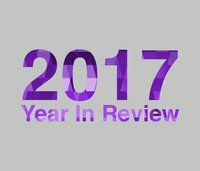 Here’s a recap of what 2017 looked like for AdvisorStream. Many new features, new partnerships and a lot of listening to our clients feedback. Throughout the past year, we have rolled out new features that have become huge value-adds for our subscribers. It is with great pleasure to be nominated for the Established FinTech of the Year award at the 3rd Annual Canadian FinTech & AI Awards 2017. Joining past recipients who share our mutual commitment to innovation, outstanding leadership and an unimpeachable passion. AdvisorStream is thrilled to be an exhibitor at the Cetera Connect 2017 Conference, taking place in Washington DC. This years event focuses on “Advancing What’s Next”, featuring innovative tools to boost new business. Toronto-based AdvisorStream Ltd. has launched a new feature that gives financial advisors access to their LinkedIn page through its marketing and client-communications platform. With this new feature, advisors can interact with their LinkedIn network on a regular basis by sharing compliance-approved articles available within AdvisorStream’s library of content by logging into a single channel. We’re thrilled to be sponsoring, exhibiting, and being a tech panelist at this year’s Financial Planning Association (FPA) Conference in Baltimore, MD from September 14th-16th. This conference brings together the largest concentrated gathering of CFP professionals in the United States. AdvisorStream will be discussing in our tech panel how financial planners can address the challenges they face in their marketing and prospecting needs, particularly when it comes to generating qualified leads. On September 8th and 9th, AdvisorStream will be attending FinovateFall 2016 in New York City at the Hilton Midtown. This year marks the 10th anniversary of the demo-based conference that focuses exclusively on showcasing the best and most innovative financial technologies. We are pleased to announce we are now testing The Economist content in the AdvisorStream library. We hope to make this a permanent publisher partner in the near future.